To activate good energies in auspicious sectors, to reduce adverse effects of negative energies ("Sha Qi") etc. Advice on better orientation of main door, stove, bed, etc. Recommendations on placement of study desk (文昌) and improvements to health, wealth etc. Determine your lucky directions, colours etc. Call/Contact us to make an appointment. 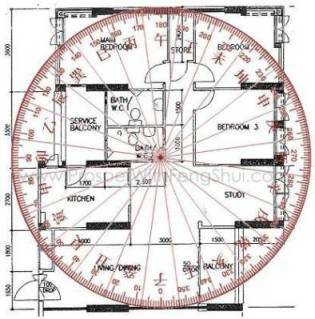 On-site measurement & study of your premise’s internal layout and external environment by our Feng Shui Master, Master Lim Eng Cheong. One-to-one consultation to review your full audit report. 3. A copy of the detailed audit report will be provided for you. To make an appointment, please call 6775 1638 or email: enquiry@ProsperWithFengShui.com , or send an online request. "Price for Feng Shui Audit"